Posted on January 22, 2013 at 5:46 pm. 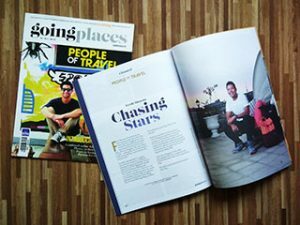 “Ang gusto lang namin ay ipagpatuloy ang tradisyon ng aming mga katutubo na nanggaling ng Aklan. Siguradong matutuwa ang aming mga magulang na nabuhuhay pa rin ang aming paniniwala at panata sa Sto Niño kahit nasaang lugar. Manalo o matalo kami sa kompetisyon ay di na mahalaga. 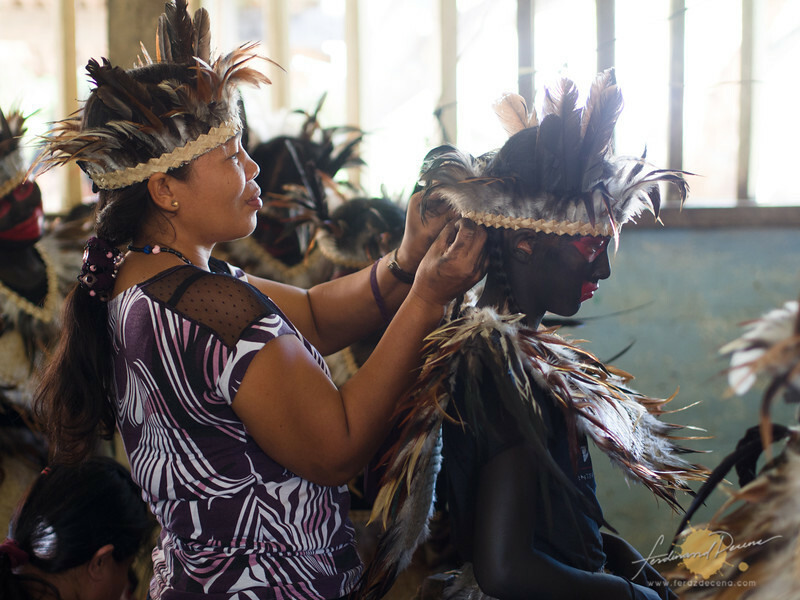 (What we only want is to continue the tradition our natives from Aklan practice. We’re sure our ancestors and parents would be proud that our beliefs and devotion to Sto Niño still lives on wherever we are. 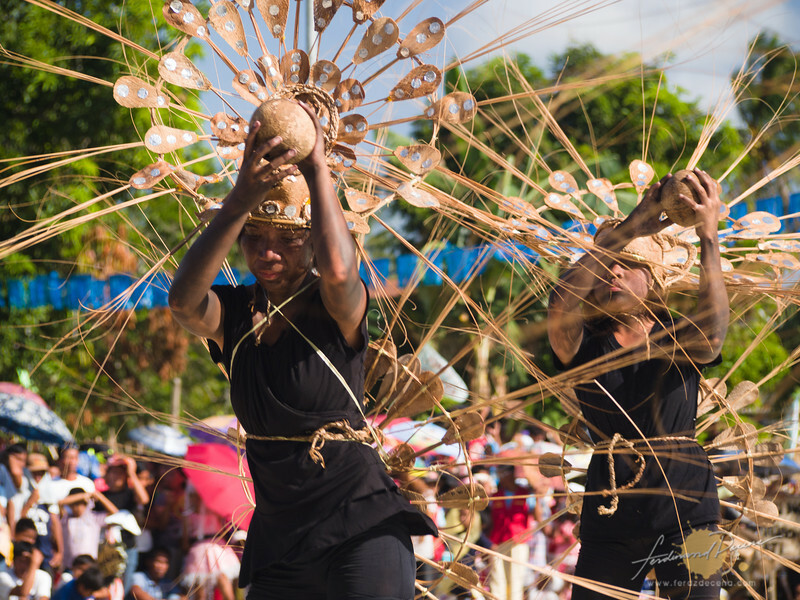 It doesn’t matter whether we win or not in this competition)” Says Ricky, a middle-aged man from Purok (District) Taberna who’s part of the group in charge of their performers competing for the Barotuan Ati-atihan Festival. Despite his humble words and devotion, his group of dancers from this farthest district of Barotuan holds the championship for 9 years already. Barotuan is a town located Northeast of the El Nido Municipality about an hour’s motorbike ride from the El Nido town proper. 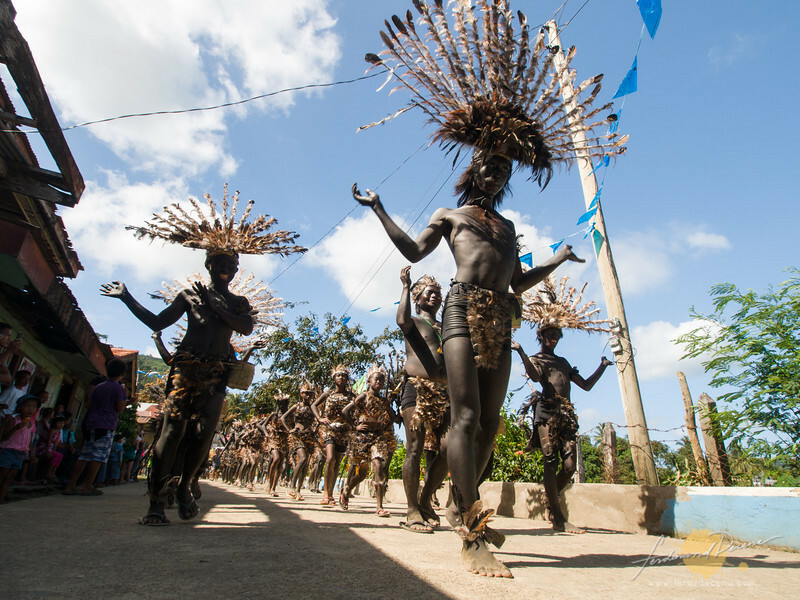 The town only sees visitors every 3rd Sunday of January when it holds its own Ati-Atihan Festival along with other Festivals like the Ati-Atihan in Kalibo Aklan or the Sinulog Festival in Cebu. According to history narrated by one of the performers (Purok A), a lot of migrants from Aklan journeyed the seas to Palawan using a Balangay but the boat was too large to pass through the channels of several islands so they mad use of a smaller boat called “Barotu”. The Barotu brought the migrants of Aklan to the northeast shore of the island and was hence named Barotuan where the boats docked. 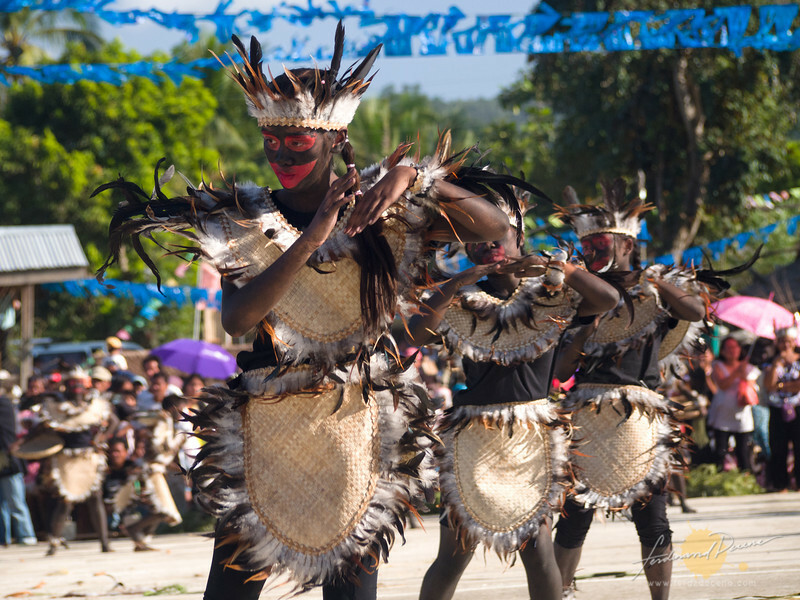 Ati-Atihan is popularly practiced in Kalibo, Aklan. It’s when people would cover themselves up with coal to be as dark as an “Ati” or “Aeta”, the dark-skinned indigenous tribe who were believed were the primary settlers of Panay Island. 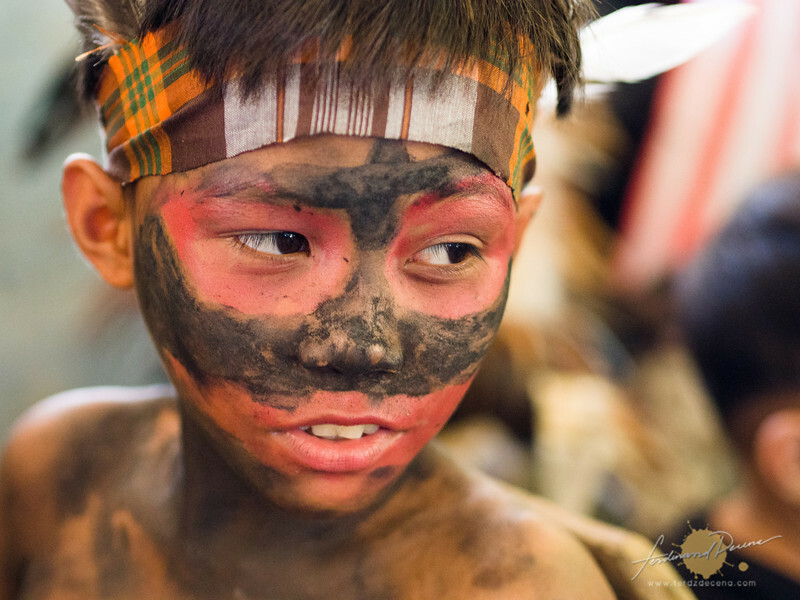 The Sto Niño devotion was an added religious element when the Spaniards colonized the country. Similar to what the other places celebrating the festivities, the town comes alive with most houses preparing a feast and everyone was welcome to eat in. Some revelers would bring in beers to the street to and share with anyone. People spreading charcoal to other people or as simple as a cross on the forehead. Disco and dancing would run until early morning before the main street dancing event. What I like about this small town festivals is they stick to their schedules since they have little to manage. There were 5 Purok who were competing at that time. I got behind the scenes at Purok Taberna while they were preparing and their coaches or choreographers seems so strict about how they put on the costumes and asked the performers not to go out of the streets to be seen until needed. By 1pm, all the competing tribes took the streets to parade. There were Puroks Taberna, A, B, Makinit and Happy Valley competing while the other tribes were for intermission. 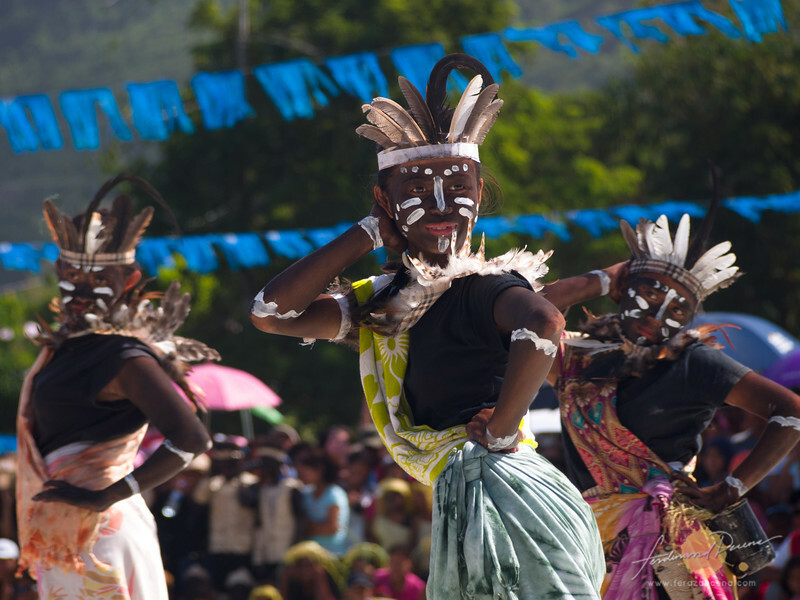 They took two rounds around town while street dancing and to show that the festival competition have started. The costumes were well made despite their small budgets. They were right on the spot when the program started at the new town plaza. Despite the bearing heat that afternoon, many were there too watch including a few foreigners from El Nido town. The 5 groups were given 15 minutes each to perform. There were common themes about the Atis way of life, like hunting, farming, agriculture and blessings from the Sto Niño. If anyone had seen the popular festivals like Sinulog or Dinagyan, I would say Barotuan Ati-Atihan Festival still has a long way to their performances but the winners are getting there. Tribo Igorot of Happy Valley had a very good mix of Igorot planting culture and snappy moves to delight audiences. While my favorite in creative costume design on Tribo Peacock of Purok Makinit had a so-so performance. 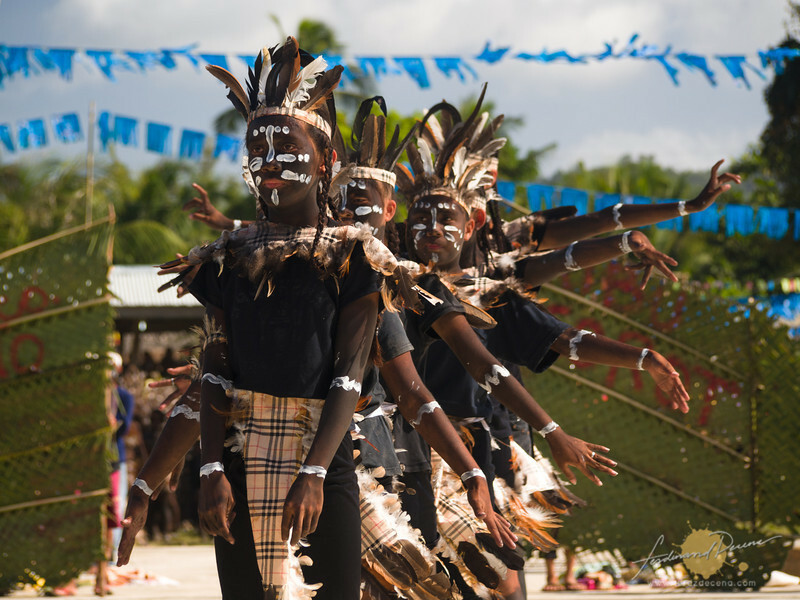 The tough competition was with Purok A with its many standout sequences and catchy moves while Purok Taberna’s Tribo Katutubong Ati demonstrated its championship form with their difficult choreography and impressive props. In the end, Purok Taberna still retained their crown and won about Php 10,000. It was only recently when organizers gave out some prizes when sponsors came in but a few years ago, the groups would just perform without thinking about the prize. The competition performances only lasted for two-hour and by 4pm I was heading back to town since I was accompanied by some kids from place I was staying in El Nido. I could say I enjoyed my time in this festival maybe because it wasn’t too crowded and the people were really fun and friendly to the visitors. It may not be as grand (yet) as other festivals but I like its humble and intimate atmosphere that was really enjoyable. 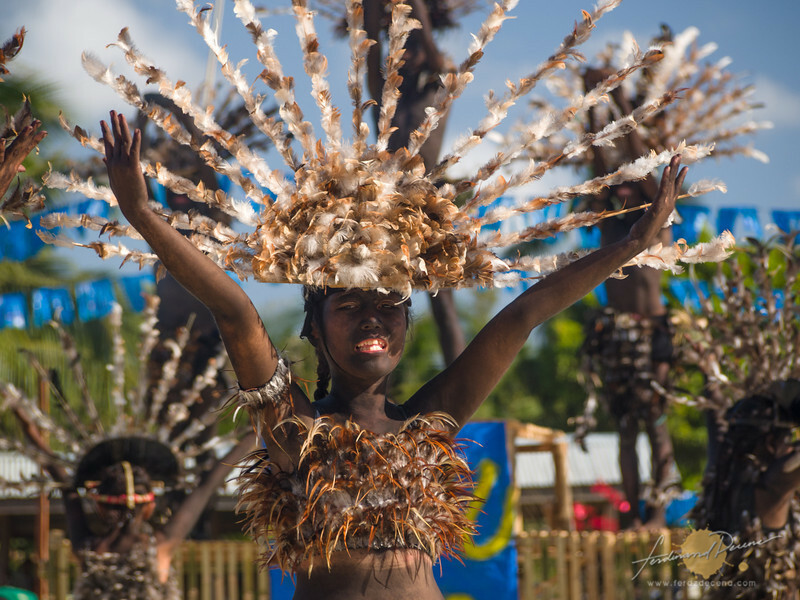 Check out more photos of the Barotuan Ati-atihan Festival here. 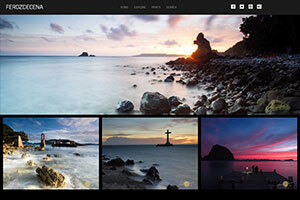 as much as i admire your outstanding landscape photography, i cannot wait for posts that center on people and portraits. hi may i ask when is this festival held?